Instances of injustice fill Nobel Peace Prize Winner Jody Williams with a sense of righteous indignation, a feeling that has caused her to take action countless times in the name of peace throughout her busy life and career. Twenty-one years ago in 1997, Williams became the 10th woman in the world and the third woman in America to receive the Nobel Peace Prize for her work to ban antipersonnel landmines, serving as a chief strategist and spokesperson for the International Campaign to Ban Landmines (ICBL) as it achieved its goal of the Mine Ban Treaty during a diplomatic conference in Oslo that year. “I didn’t find landmines, they found me,” Williams told the Alturas Institute in an interview this month, saying she took the challenge from the Vietnam Veterans of America Foundation and Medico International to create a campaign to ban landmines. The ICBL's eventual achievement of that goal resulted in a treaty preventing the use, transfer, production and stockpiling of antipersonnel landmines. these were the initial choices Williams made that would lead her on a path toward global political activism. By the 1960s, Williams had joined thousands of people across the country in protesting the Vietnam War. Though she would not use the word ‘activist’ to describe herself for years to come, Williams said it was her activism in protesting the war that pointed her in the direction of effecting positive change in and for her country, and that many of her projects throughout her career have flowed from that initial activism. “If I’d not had a strong voice and clear vision of how I think the world could be made better for everyone, I’d not have been an activist for as many decades as I have been,” Williams said. Despite what was jokingly said to her by a friend in the antipersonnel landmine campaign after she received the Peace Prize in ‘97, “life has most definitely not been downhill ever since,” Williams said. She has since founded the Nobel Women’s Initiative, an organization that brings together six women recipients of the Peace Prize to promote of the work of grassroots women activists across the globe. Williams continues to chair the initiative, and is also a Distinguished Visiting Professor of Global Justice in the Graduate College of Social Work at the University of Houston. She was appointed the “Sam and Cele Keeper Endowed Professor in Peace and Social Justice” in 2007. Together, she and her husband, director of Human Rights Watch’s Arms Division Steve Goose, hashed out the idea to form a campaign protesting the production and use of fully autonomous weapons systems, officially known as the Campaign to Stop Killer Robots. A highly recognized figure in the world of global political activism, Williams said she feels no need to deviate from the open, honest and straightforward person she always has been. She simply feels a responsibility to be true to her beliefs, values and goals throughout the process. 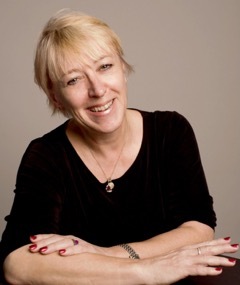 For more information on Jody Williams or the Nobel Women’s Initiative, visit https://nobelwomensinitiative.org.